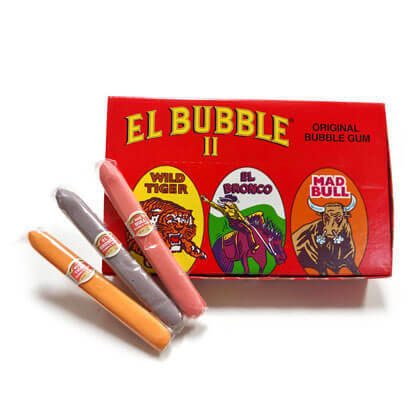 Yummy bubble gum cigars in assorted 3 cigars. Orange, purple grape and strawberry pink. Each cigar is .7 oz each. Artificial flavors. Made in Canada. Color will vary depending on availability.